Today John and I went to a birthday party for Nina Lee. Nina is the photographer / jewelry designer that photographed John and I for the MODERN LUXURY HAWAII issue last August. We thought a gift of food would be appropriate so I decided to make donuts. I started out making mini donuts , but the dough was too wet to cut into rings. Each time I picked one up it stretched and fried up all wonky. 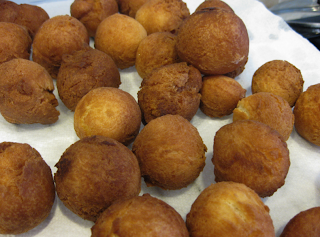 So I decided to try making donut holes instead... and they turned out perfect. 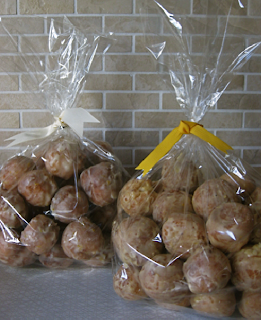 I went with a simple cake donut versus a yeast donut because... well because I like cake donuts more than yeast donuts. I wanted to make them tropical in some way, so I made half with a lilikoi glaze and the other half with a banana/orange glaze. If only this post had a taste function, because I cannot tell you how good they were. Below is the process. I can't wait to make another batch. 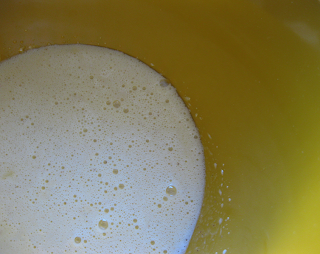 Mix oil, sugar,eggs and nutmeg for 3 minutes. Place dough in fridge for at least 1 hour. 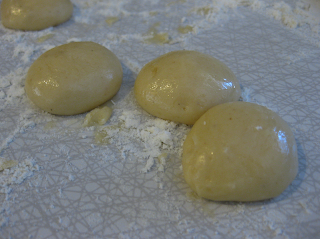 Form into 1" balls making sure to flour your hands and surface. Drop into 375 degree oil 5-6 at a time. Smaller batches are easier to control and turn. Turn after 1 minute to brown top. Remove from oil with slotted spoon and cool on paper towels. 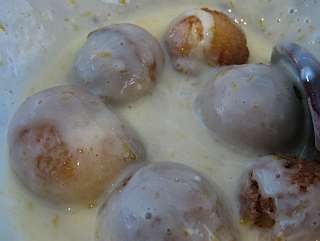 Make a glaze out of powdered sugar and flavored liquid of your choice. 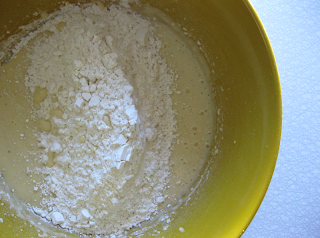 Use 2 cups powdered sugar and 3-5 tablespoons liquid. I used lilikoi juice with lemon zest for one batch and banana with orange juice and zest for the other. 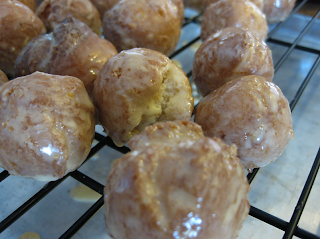 Glaze should be somewhat thin so it is easier to coat the donuts. 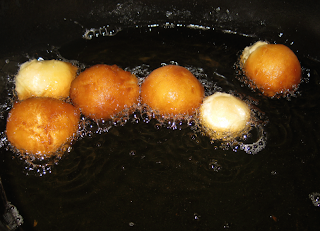 Drop 5-6 donuts into the glaze and stir gently. 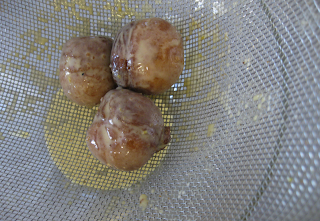 Using tongs, lift out and place in a mesh screen strainer and let drain a few minutes over a bowl. You can re-use the excess on the remaining batch. Lift out with tongs and place on a wire rack to dry at least 1 hour. Gorgeous balls indeed! And all mine. :) The best treat ever!! mmm, donuts. lucky, lucky nina!